Business in India has traditionally been a family affair. But changing business environment necessitated that the management is to be in the hands of those who have formal education in management as well as the experience. While the Management Institutions that came up provided raw management trainees, but a need was felt to conduct distance education in MBA for those executives who already had some experience and were employed with the company. With the opening of education system, All India Council Of technical Education (AICTE) was created under the Ministry of HRD with the mandate of planning and coordinating the higher education including the Management Studies. A large number of institutions flourished besides the universities conducting MBA diploma/degree courses. No of seats being far less than the number of applicants, started the race for providing MBA by correspondence and came to be recognized as distance MBA. As it is clear there was a clear separation of students and the faculties. The institutions provided well researched study material, conducted periodic assignments, and held a short contact program during weekends or compact contact program for a fortnight or so. During the contact program the students are face to face with the faculties and doubts can be easily clarified. And finally examinations are held. Due weight age is given to internal assignments and final examination result before the final result is prepared. The qualified get the Diploma in a particular stream of MBA. Distance MBA education in India started exclusively for the serving executives, but as the time passed, all those aspiring to be MBA, but were unable to get admission in MBA institutes opted for this form of education. The corporate HR heads feel that MBA is a study based on the job training and case studies- both of these are lacking in the distance MBA. 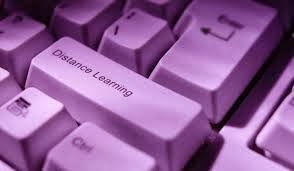 Some of the institutions providing distance MBA education have understood the industry requirements and do lay a lot of stress on case studies. Students are made to solve these case studies during the internal assignment and also during contact program. Those aspiring for the MBA can find details of institutions, their ranking in the industry as also the syllabus is available on line. It is advisable that a thorough comparison is carried out before taking admission in MBA by distance education. Author Bio: Mark is the author of this Guest post, he always loves to develop new writing ideas about Education and already have written many articles on various education fields, at present he is involving in distance Education market also writing for the subject: Distance MBA & all Correspondence Courses in India.